Aurelian-Petrus Plopeanu (b. 1982) graduated the Faculty of Economics and Business Administration (specialization: International Transactions) within Alexandru Ioan Cuza University of Iasi, Romania. After successfully completed his Comprehensive studies in International trade (2005-2006) and PhD in Economics (2006-2009) at Alexandru Ioan Cuza University of Iasi, he became postdoctoral researcher at the same institution (2010-2013). He is currently Senior Researcher III (CS III) at the Department of Interdisciplinary Research in Social-Human Sciences, Alexandru Ioan Cuza University of Iasi and associate teaching assistant at the Faculty of Economics and Business Administration. He published several books: single author at “The Religious Determinants of Economic Development” (Junimea Publishing House, Iasi, 2010), co-author at “Political Economy” (European Institute Publishing House, 2012) and “Economic Policy” (European Institute Publishing House, Iasi, 2014). Also, he published numerous articles in international conferences and journals (Romania, Spain, Morocco, Malaysia, India). He participated in symposia, workshops and national and international conferences (Netherlands, Spain, Morocco, Malaysia). He followed research internships and external documentation stages at London School of Economics and Political Science in the UK (2007), the University of Utrecht in the Netherlands (2011) and the Ludwig Maximilians University, Munich, Germany (2012). Since 2012, he is scientific reviewer for one publishing house (Junimea, Iasi) and two international journals (European Journal of Science and Theology and Review of Economic and Business Studies). Tiberiu Brăilean, Aurelian-P. Plopeanu, Alina Haller, 2014, Economic Policies, European Institute Publishing House, Universitaria, Iasi, ISBN 978-606-24-0079-8. Tiberiu Brăilean, Aurelian-P. Plopeanu, 2012, Political Economy, European Institute Publishing House, Universitaria, Iasi, ISBN 978-973-611-851-7. Aurelian-P. Plopeanu, 2010, Religious Determinants of Economic Development. Christianity versus Islam, Junimea Publishing House, Iasi, ISBN 978-973-37-1434-7. Tiberiu Brăilean, Aurelian-Petruș Plopeanu, Kant or the Platypus?, European Journal of Science and Theology, vol. 10, no. 5, october 2014. Aurelian-Petrus Plopeanu, Peter Foldvari, Bas van Leeuwen, Jan Luiten van Zanden, Where Do Ideas Come From? The Relation between Book Production and Patents from the Industrial Revolution to the Present, European Journal of Science and Theology, june 2014. Tiberiu Brăilean, Aurelian-Petruș Plopeanu, The Spirit-Value and Technological Utopism, Acta Interdisciplinaria Conference Proceedings - Selected Papers, Josh Jones Publisher, Santa Monica, United States of America, 2014. Tiberiu Brăilean, Aurelian-Petruş Plopeanu, White Swans, Black Swans, in Iulian Boldea (ed. ), Globalization and Intercultural Dialogue: Multidisciplinary Perspectives, Arhipelag XXI, Târgu Mureș, Romania, 2014. 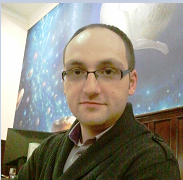 Tiberiu Brăilean, Aurelian-Petruș Plopeanu, The Remoralization of Capitalism, International Journal of Development Research, vol. 4, Issue, 8, India, 2014. Aurelian-P. Plopeanu, Gabriela Bodea, The Change of Mentality, a Form of Externality. The Paradigm of Islamic Sustainable Development, Proceedings of EURINT 2013 international conference “The EU as a model of soft power in the Eastern neighbourhood”, Centre for European Studies, Alexandru Ioan Cuza University of Iasi, Romania, may 2013. Gabriela Bodea, Aurelian-Petruș Plopeanu, China and India, a Case Study about the Mentality Highlights in the Global Equation of Change, Proceedings of EURINT 2013 international conference “The EU as a model of soft power in the Eastern neighbourhood”, Centre for European Studies, Alexandru Ioan Cuza University of Iași, may 2013. Tiberiu Brăilean, Aurelian-Petruş Plopeanu, Christianity and Political Democracy in the Middle Ages and Modern Times, Human and Social Studies, vol. II, no. 2, 2013. Aurelian-P. Plopeanu, Daniel Homocianu, Religious Roots of Book Production and Human Capital during (early) Modern Age, Scientific Annals of Alexandru Ioan Cuza University of Iasi, Economic Sciences Section, vol. 59, no. 2, 2012. Aurelian-P. Plopeanu, Tiberiu Brăilean, Mircea Arsene, Religious Freedom Indexes, Cultural Dimensions and Welfare in Europe, Proceedings of EDULEARN12 international conference, Barcelona, Spain, 2012. Tiberiu Brăilean, Aurelian-Petruș Plopeanu, Mădălina Calance, Sorina Chiper, The Jews, God and economics, European Journal of Science and Theology, vol. 8, no. 4, december 2012. Tiberiu Brăilean, Aurelian-Petruș Plopeanu, Sorina Chiper, Theoeconomics, European Journal of Science and Theology, vol. 8, no.1, march 2012. Tiberiu Brăilean, Aurelian-Petruș Plopeanu, Sorina Chiper, Critical Perspectives on Weberian Ethics, European Journal of Science and Theology, vol. 7, no. 4, december 2011. Aurelian-P. Plopeanu, Religion, Freedoms and Wealth, Review of Economic and Business Studies (REBS), The Publishing House of Alexandru Ioan Cuza University, Iasi, december 2011. Aurelian-P. Plopeanu, Gabriela Bodea, Religionomics, Review of Economic Studies and Research Virgil Madgearu, Editura Alma Mater, Cluj-Napoca, year IV, no. 2, 2011. Aurelian-P. Plopeanu, The Weberian Determinants of Economic Development, International Association for Technology, Education and Development, Proceedings of EDULEARN11 International Conference, Barcelona, Spain, 2011. Aurelian-P. Plopeanu, Christiana Bălan, The Statistical Analysis of the Relationship between Religion and Macroeconomic Indicators, International Proceedings of Economics Development and Research, Sociality and Economics Development, IPEDR, IACSIT Press, Singapore, vol. 10, 2011. Aurelian-P. Plopeanu, Mariana, Gagea, Economic Growth and Religion (I), ISI Proceedings of the 6th International Conference on Business Excellence, “Transilvania” University of Bra&scedil;ov Publishing House, Romania, vol. II, 2011. Mariana Gagea, Aurelian-P. Plopeanu, Economic Growth and Religion (II), ISI Proceedings of the 6th International Conference on Business Excellence, “Transilvania” University of Bra&scedil;ov Publishing House, Romania, vol. I, 2011. Aurelian-P. Plopeanu, Tiberiu Brăilean, Liberty, Religion and State, Globalization and Higher Education in Economics and Business Administration (GEBA2010), The Publishing House of Alexandru Ioan Cuza University, Iasi, vol. I, 2010. Aurelian-P. Plopeanu, An Economic Approach of the Religious Market, ISI Proceedings of the 5th International Conference on Business Excellence, “Transilvania” University of Braşov Publishing House, Romania, vol. II, 2010. Aurelian-P. Plopeanu, The Institution of Religion and the Economic Gnoseology, The Young Economists Journal, Universitaria Publishing House, Craiova, Romania, 2010.